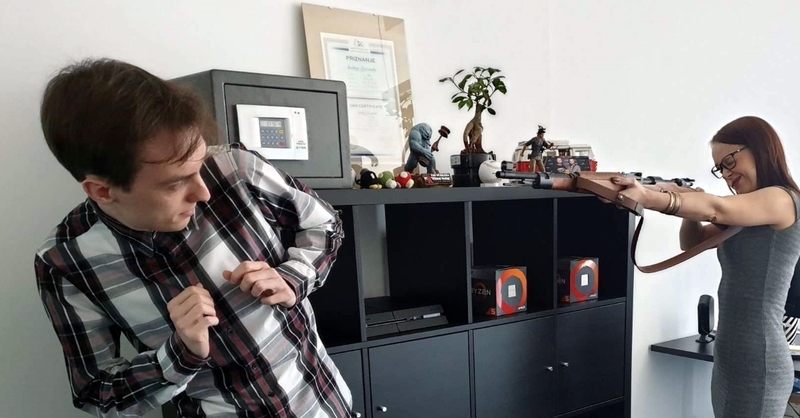 We have a special treat for you today - you get to meet Kristian, our Quality Assurance Lead AND you also get a hotfix, so don't ever say we don't love you! "Can you please not look like you're posing for a stock photo?" "Is this better?" "No, it still looks like a stock photo." "Okay, I don't care, just do it already." Kristian is one of the newest additions to our team, but we go way back and you'll learn all about it because I love embarrassing people online. I met Kristian back in 2011 during a game of League of Legends. I was a games journalist in a previous life and he was a 15 year old games fanboy - I was playing with some friends, when all of a sudden a message popped up in the in-game chat. It went something like "OMG TENA ARE YOU THE TENA? I'VE READ ALL YOUR COLUMNS OMG I LOVE YOU SO MUCH". The columns objectively sucked, but he was a sweet baby and it was cute. A few years later I attended an industry conference - it was the 1st edition of Reboot Develop, the conference that would become the biggest and fanciest one in this part of Europe in just a few years, and lo and behold, Kristian was there - the only attendee who wasn't part of the industry yet. A kid who saved his own pocket money so he could buy an expensive event ticket to meet his industry role models and hopefully one day work with them. It was heartwarming and everyone remembered him. He says the first game he ever played was Kula World on PS1, and right now he likes RPGs and survival games. He has dabbled in programming since high school, went on to study computer science at the same college our technical director Andrej went to, and then finished not one, but two courses at Machina, a local gamedev academy - one in Unreal, and one in C++. After that he stayed in Machina for a year and worked as their CM. He knew what he wanted and went after it hard, which is exactly the kind of attitude we were looking for. Today I asked him why he wanted to get into gamedev so bad. He said that video games gave him a sense of comfort and security growing up and he wanted to do the same thing for someone else. And you know what? I could tell he was being honest. His role here at Gamepires is kinda all over the place, like most of ours are, because we all do a bit of everything. He's our dedicated QA guy, but he's also in charge of handling the community side of bugs and bug reports, as well as our 3 student interns who are part-time QA and part-time CM. 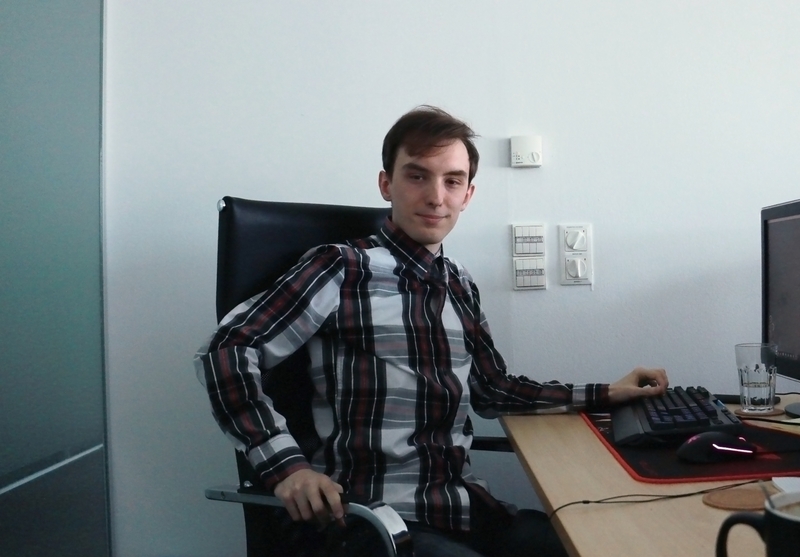 That means Kristian is the lead of our small QA team, but also part of our bigger marketing team. Still following? Me neither, I just wanted to brag about being his boss, hi mom! His day-to-day life here looks something like this. First he scours our Steam for all the bug reports and reports them in our internal bug tracker. Then he does the same on Discord and Reddit. He'll even join random servers and play on them if he hears something's off - he'll take notes and report everything. By the time he's done with that, we'll already have the first game build of the day to test out, so he'll do that. Over and over again. Then he'll go back to our socials and see if there are any new bug reports to try and reproduce them while he waits for another build to test. It's pretty boring if you ask me, but he seems to enjoy it. He's also a really good ping-pong player, which is also pretty boring, but he seems to enjoy that as well. He's pretty weird, honestly, but we like them weird here. "I'm into sports, but not like actual sports, just their weird table versions. 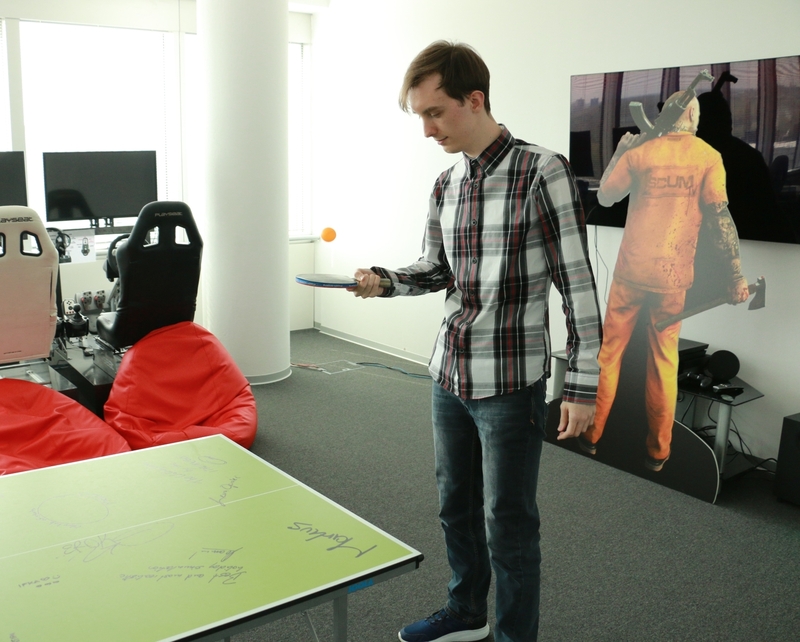 Honestly I'm not into sports at all, I just like feeling like I work in a mobile gamedev startup. Sometimes I cry into my nougat cappuccino, but then I say the word 'synergy' over and over again and it makes me calm down." 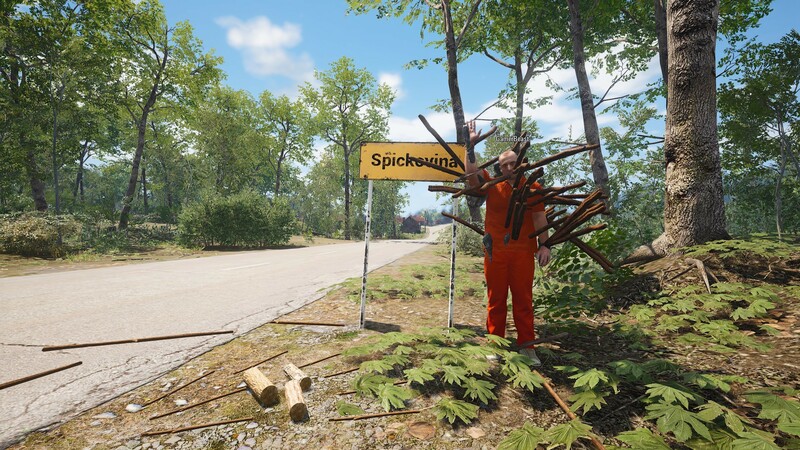 Since Kristian is in charge of bugs and the patch we published on Friday created a lot of them, we'll use this opportunity to publish a hotfix and hopefully squash as many of them as we can. If we fail at that or create some more, make sure to blame Kristian! Just kidding, please report them through the appropriate channels, thank you. Fixed a bug where spawn rates were drastically reduced. Cargo drop now has the correct green smoke effect when dropping. Fixed aiming down the sight on TEC01 shotgun. Fixed an issue when climbing ladders with a backpack that would make the backpack clip through your chest. Fixed a bug where you couldn't shoot the compound bow in first person, but it would put you in third person instead. Fixed a bug where a bow would lose all durability after shooting once from it. Made crafting recipes for Improvised quiver, and animal skin quiver. You can now properly craft arrow tips and arrows as well. P223 scope now has correct zoom. Red dot sight now doesn't write any data on the sight. (It was the overlay from the ACOG). Fixed a bug where the archery skill would appear twice. Fixed a bug where you could use ingredients to craft blueprints from a long distance. Fixed a bug where "Spawning on Squadmate" didn't show up. Fixed some models where the player would clip through the roof. But that's not all! We're also including a big anti-cheat update! That's all for today's Developer Update, my lovelies! Stay tuned for Josip's Friday post, and I'll see you next Wednesday!